Things have been pretty quiet on the calendar update front as we’ve all taken some much needed R&R. I spent a lot of time indoors with family and friends: cooking, eating, and playing games and I feel pretty excited to put energy back into improving biking in Madison in 2018. The frigid temperatures have been pretty intense, but also mean that the frozen lakes have instantly expanded our winter bike playground. Monday: The Madison Bikes Events Committee will hold its first meeting of the year to continue planning of Winter Bike Week (2/2-2/9). We’re always looking for more people to join in with this group; check the calendar for details. And of course, the MEAThead ride should be rolling again. Maybe the lights are still up at Olin-Turville? 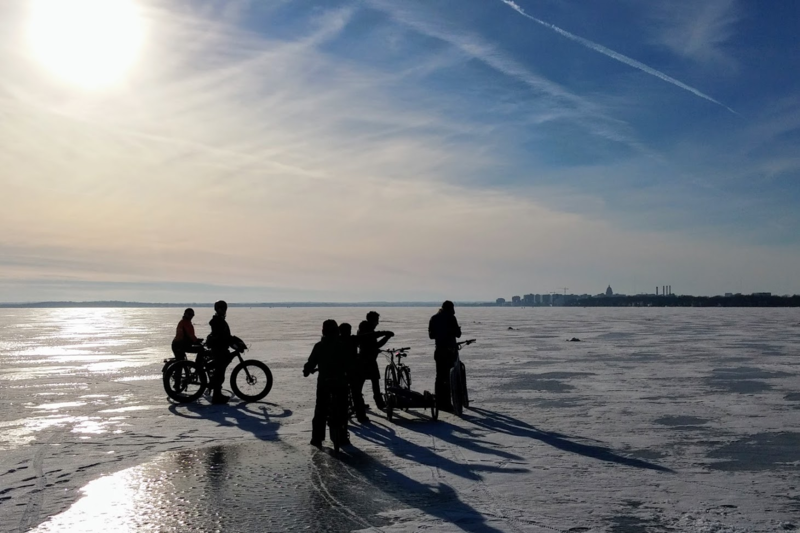 Tuesday: On Tuesday, the Madison Bikes Communications Committee will meet up and also work on a number of topics including Winter Bike Week preparations. Check out the About Us section of our webpage for more info on any of the Madison Bikes Committees. Wednesday: There will be a first Public Meeting for another Winnebago Street project. This one will be for the section from 2nd-Bashford. There’s a limited amount of space here and some unique challenges that will require some hard decisions. Watch for a blog post tomorrow with more details on this important project. Saturday: And on Saturday, it’s the annual Brazen Dropouts Bike Swap at the Alliant Energy Center. And if you'd rather get rid of bikes instead of buying new ones: Free Bikes 4 Kids is having a big bike collection at various Dean Medical Group locations in an around Madison.